Truck drivers are an important part of the economy. Without them, many goods would not be available all over the country. Trucks are the most efficient way to move goods inland from shipping ports or to their final destinations from airports. Many truckers are drawn to the industry because it is an important way that those without a higher education can make a decent income. Driving a truck is a lifestyle choice as well as a job, since drivers are often gone for many days or even weeks. Short-haul truckers complete deliveries within a given range, and may spend most of their nights at home. However, there is more demand for long-haul truckers, whose cross-country travel may take four or more days at a time. Truckers may work a single route, or many different ones. They are usually given a location and time for drop-off, but are often responsible for figuring out how to get there themselves. They must figure out the most efficient route, considering which roads allow trucks, where they will fuel up, where they will sleep, and more. There are legally-required rest periods that must be incorporated into a trucking route. These were implemented because truckers would push themselves to make deliveries more quickly in order to receive a bonus or better jobs, and these tired truckers were dangerous on the roads. The laws are rather complex, but generally a trucker must not work more than 14 straight hours, of which only 11 can be driving. They must take 10 hours off between working periods, and can work a total of only 60 hours in 7 days or 70 hours in 8 days. Truck drivers often work nights, holidays and weekends. Some even prefer to drive at night, when they can make better time because there are fewer cars on the road. Many trucks have sleeper berths in the cab, where drivers can spend their required 10 hours off during multiple-day runs. A career in truck driving can be physically taxing as well as mentally tiring. Drivers may be called upon to help load or unload cargo, and driving for many hours at a time requires significant expenditures of energy. Sitting for long periods of time can also cause physical stress on the body. Truck driving is a fairly solitary occupation. Drivers may spend most of their time alone on the road, which can be stressful. Many drivers have companion animals, and occasionally they may work in teams on rush deliveries or especially long hauls. It is not uncommon for a trucker to drive with his or her romantic partner along, at least sometimes. Surging demand in the trucking industry is causing a tight freight-hauling industry, with trucker wages and benefits rising. Truck drivers remain in high demand, and the American Truckers Association provides a snapshot of how well the industry is performing. Private fleet drivers earned as much as $86,000 annually in 2017, up from $73,000 in 2013. Benefits are also rising, with companies increasing their benefit packages to help lure in and attract talent. Truckers in 2018 now receive new paid leave as well as retirement packages that are generous. Irregular route drivers, that worked on a national scale, had a salary that rose 15% from 2013. These drivers are often entry-level drivers that now make $53,000 annually, a raise of $7,000 In their annual salary. Bob Costello, the chief economist of the American Trucking Association, claims that there’s no sign of the trucking industry slowing in 2018. Costello further claims that a strong rebound that occurred in 2017 is helping fuel the industry’s growth in 2018. The trucking industry is in a very good position going into 2018 and 2019. Costello claims that wages are likely up in the first-quarter of 2018 and that fleets are paying higher rates with more hours available. There’s a lot of freight, and drivers are able to pick up more hours as they see fit. U.S. Xpress has even stated that they’re willing to offer more bonuses to drivers and incentives that can be as much as $50,000. Pay increases and a tighter capacity are the perfect “storm” for drivers. Distributors are paying higher shipping rates, too. The ratio of freight loads to the number of truckers rose 120% in February, year-over-year. Fleets know that the easiest way to attract new and qualified drivers is to offer higher pay. And there are also government regulations that are helping to push salaries higher. Safety regulations, which are favoring drivers, require truckers to electronically track their hours. What electronic tracking is offering is less hours on the road, but with a lack of drivers, fleets now are forced to look for new drivers to fill their ranks. More drivers are needed thanks to regulations, and existing drivers don’t have to spend night and day on the road nodding off to deliver a load. High overturn is being seen at many trucking companies because drivers are receiving better offers elsewhere. Truckers are also demanding higher guaranteed weekly pay. A tightening industry with ample demand, the trucking industry is expected to continue to grow in 2018 and 2019. There’s no sign of the industry slowing down as more consumers shop online, increasing freight demand in the process. Academic requirements to be a truck driver are usually minimal. Some companies require their drivers to have a high school diploma or a GED, but not all do. No college education is required. However, all truck drivers must have the proper training and license to drive a large vehicle. 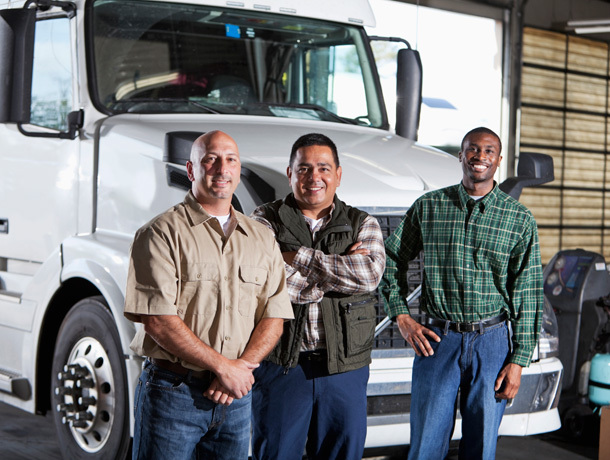 Truck drivers must have a Commercial Driver’s License (CDL). This demonstrates the ability to drive a specialized type of vehicle, and a sufficient level of skill at doing so. Truckers transporting hazardous waste must have a HAZMAT (H) endorsement on their license. Pretty much all truckers go to a professional training school to earn their CDL. This may be a private school, or one associated with a trucking company. The advantage of one associated with a trucking company is that they usually guarantee a job for their successful graduates. However, this typically requires signing a contract to work for them exclusively for a year or two. Company-associated schools are also popular because they offer better financial options for people without a lot of savings. Depending on the school, the training may actually be free for drivers who complete their contracts, or they may deduct it from the new driver’s paychecks for a period of time. Drivers who drop out of training typically owe the company money, however. Private driving schools will also help truckers get jobs, as all good ones have job placement programs. Unfortunately, they cannot guarantee rookie drivers jobs in most cases. Drivers who graduate are free to choose their own job, however. 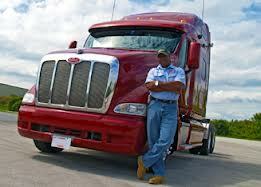 Experience is a very important factor in getting hired as a trucker. Many companies prefer to hire people with at least 2 years experience driving professionally. This can be as a delivery driver, bus driver, or other occupation that requires handling large vehicles in a work setting. Truck drivers made a median salary of $66,711 in 2017. This works out to an average hourly wage of $32. Companies usually pay drivers according to how many miles they have driven, plus bonuses for certain tasks such as quick delivery or excellent truck maintenance. The rate per mile varies depending on the company the driver works for. The bottom 10% have a salary of $24,880 or less and the top 10% are paid $98,440 or more. There are approximately 1,508,620 truckers currently employed in the United States. Certain states offer more opportunities than others. Texas and California together make up 16.7% of the total drivers employed in the US (BLS.gov) with 136,060 and 116,070 respectively. Pennsylvania (68,500), Illinois (64,580) and Florida (63,330) are the other states that employ the most. The top paying states are Alaska ($50,050), Nevada ($45,650), District of Columbia ($45,290) and Massachusetts ($45,240). There were 551,960 general freight truckers on the roads in 2011 which is 36.6% of all heavy truck drivers (BLS.gov). However, the most lucrative jobs (average salary of $56,830) are held by 1.7% of the market – drivers working as couriers and express delivery services. The salary of a truck driver is impacted by a number of factors. Loading and unloading time is not paid for when companies pay by the mile, yet it is included in the calculations that determine how many hours a trucker may work. Urban areas where traffic is heavy may cause drivers to average fewer miles per hour than they would on less crowded roads. Load availability can also be a problem. A driver must be in the right place at the right time and be legally allowed to drive, before they can pick up a load. By regulation, they must take 34 hours off after driving 60 hours in a week or 70 hours in 8 days. These factors combine to mean that an actual truck driver salary is often quite a bit less than one would expect given the rate per mile most companies quote.